Correct me if I'm wrong, but is Momochi the first idol in H!P to study up to university while still continuing idol activities? If I recall correctly, Airi and some other idols (I can't remember who) in H!P are also pursuing further studies now, but Momochi was the one who showed it was possible? As far as I can tell, yes, I believe that Momochi's the only H!P idol who has finished university while remaining an idol. If memory serves, active H!P idols currently enrolled in university are Airi, Ayacho, and Maro. Kumai-chan entered university while she was in Berryz, and she did talk about wanting to finish her studies when asked about her plans post-hiatus. 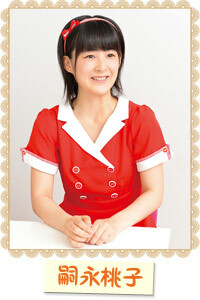 Miyazaki Yuka chose to drop out of university to focus on her idol career.